Hey guys, today I'm sharing a guest post written by Sara Holland, author of Everless (out now! ), about Books that Play with Time! 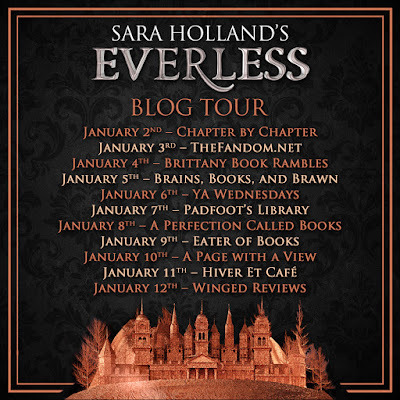 I'm so excited for Everless and if this book isn't on your TBR, I hope you it is by the time you've finished this post! In the kingdom of Sempera, time is currency—extracted from blood, bound to iron, and consumed to add time to one’s own lifespan. The rich aristocracy, like the Gerlings, tax the poor to the hilt, extending their own lives by centuries. No one resents the Gerlings more than Jules Ember. A decade ago, she and her father were servants at Everless, the Gerlings’ palatial estate, until a fateful accident forced them to flee in the dead of night. When Jules discovers that her father is dying, she knows that she must return to Everless to earn more time for him before she loses him forever. But going back to Everless brings more danger—and temptation—than Jules could have ever imagined. Soon she’s caught in a tangle of violent secrets and finds her heart torn between two people she thought she’d never see again. Her decisions have the power to change her fate—and the fate of time itself. Fans of Victoria Aveyard, Kendare Blake, and Stephanie Garber will devour this lush novel's breathtaking action, incredible romance, and dangerous secrets. I grew up in small-town Minnesota among hundreds of books. I graduated from Wesleyan University and worked in a tea shop, a dentist’s office, and a state capitol building before heading to New York to work in publishing. These days, I can be found exploring the city’s bookstores or finding new ways to put caffeine in my bloodstream. EVERLESS is my debut novel. I've been wanting to write about some other books that deal with time in different ways, so I chose a theme of "Five YA books that play with time." THE SECRET HOUR by Scott Westerfeld. I feel like not many people know about Westerfeld's MIDNIGHTERS, which started in 2008, but they should! It's a great series, set in an Oklahoma town where time freezes at midnight for everyone but a few teenagers--and the nighttime monsters that threaten them. Oh, and there are superpowers. THE GIRL FROM EVERYWHERE by Heidi Heilig. I adored Heilig's stunningly original fantasy of Nix Song, her father Slate, and the ship, Temptation, that (along with gorgeous writing) carries them both across the globe and through time. It's everything you want from both time travel and pirate books, but the captivating writing, complex characters with fraught relationships, and deep-running themes make this unlike anything else you've ever read. 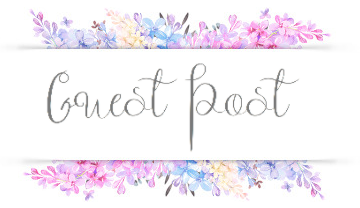 PASSENGER by Alexandra Bracken. This was pitched as Outlander meets Time Bandits, and it definitely delivers on that promise! I'm such a fan of the main character, Etta, and there's also an intense and fascinating relationship between Etta and another girl that I loved reading. This ends on a heart-pounding cliffhanger--so be prepared to dive right into WAYFARER too! PROOF OF FOREVER by Lexa Hillyer. When four former best friends converge at a reunion of their old summer camp, they suddenly find themselves fifteen again and have to re-navigate their once-perfect summer while trying to return to the present. A moving, lyrical contemporary with a fantastical twist, that grabbed my nostalgic, summer-camp-loving heartstrings and pulled hard. TIMEKEEPER by Tara Sim. If you like the Infernal Devices or steampunk vibes in general, you definitely want to check out the start of this awesome trilogy set in an alternate Victorian era, where magical clock towers control everything. Magical, sparkling writing, fascinating magic, and a super-sweet queer romance. Also a junky but beloved car. What more could you ask for? GAHHH this book is SO gorgeous and I can't wait to read it!! I'm especially excited about the "Fans of Kendare Blake will devour this novel"! <3 Thanks for sharing! It sounds so good and I can't wait to read it! 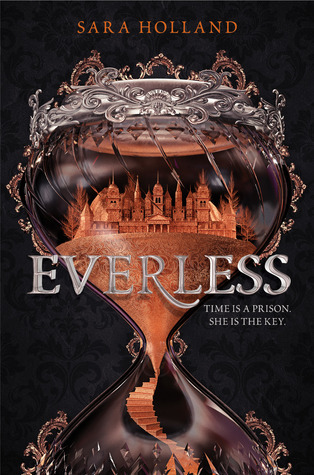 I can't believe the wait for Everless is over. I can't wait to get my hands on a copy. I know, where did the time go? I hope you love it. I got this book in my Fairyloot box of December. I can't wait to read it! That's great! I hope you enjoy it! This book is soooo gorgeous wow. Great post! Sounds amazing! I need to pick this one up! Great post, girl! This book sounds so good. Thanks for sharing this book. I loved this post so much!! And this guest post is awesome - I loved reading what Sara had to say. Her answers are really interesting. All views and opinions expressed on this blog are 100% honest and not influenced by anyone or anything, regardless of compensation. All forms of compensation, if there were any, will be disclosed within the post in question. Brittany (Brittany's Book Rambles) has read 3 books toward her goal of 10 books. 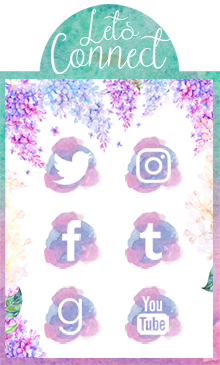 Sign-up for the Sarah Glenn Marsh's newsletter and become a member of the street team!